Earlier today, I made a word cloud of Cornwall to go along with a writing project which I had started to develop. 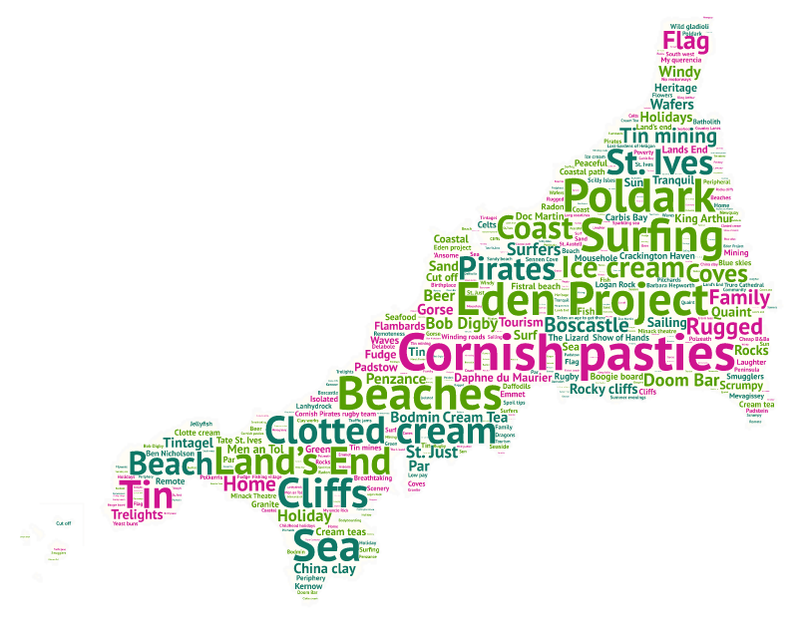 This was made with WordArt (formerly known as Tagul) and was based on the thoughts of around 40 people on Facebook and Twitter who shared about 250 words describing the county. It occurred to me that it would be good to construct the UK (each of the counties) and put them all together to make a huge word cloud construction of the UK. At first, I thought I might just work my way around the country, starting with Cornwall and moving onto Devon. I started this process, and have some words in hand for Devon already. Instead, I worked out a method using a Google Form which would allow for anyone to choose any particular county. The responses to the form are then placed into a spreadsheet, which can then be filtered, and organised appropriately, and this will help to construct the set of word clouds in due course, which will then be added onto a county outline shape. I will let this form run for a few months - I won't have time to construct the word clouds until the summer holidays, so will leave it for about 8 weeks and keep reminding you that it's around. Thanks also to those who have already retweeted and shared the form. You can enter your ideas into the form below, or go to the form separately here.